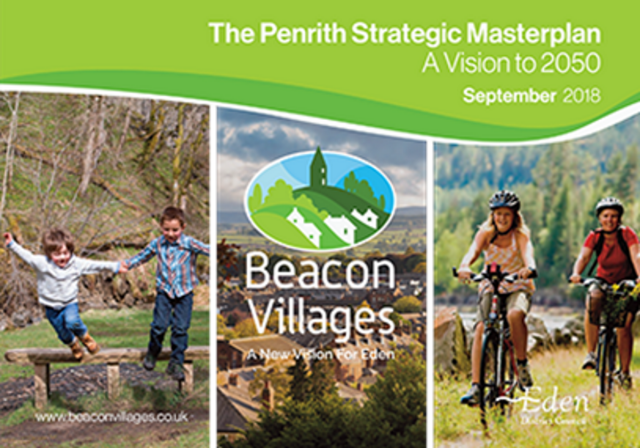 I am sure you will all be aware of the current consultation with regard to Eden District Council’s Masterplan Vision for ‘Beacon Villages’. You will appreciate that this is a significant development in Strategic Planning terms and has the potential to influence the future of the town. The Masterplan, if adopted, would set the scene for the future growth of the town and land parcels identified for particular planning uses to support future planning applications. By establishing a defined area for growth, the masterplan seeks to control development and avoid otherwise uncontrolled development from taking place in other places. On a positive front, the proposed development would bring new population to the town, increasing its size and bringing increased footfall to the Town Centre. This would support existing businesses within the town and encourage new business development to take place. An increase in population could also lead to improved public transport as demand increases, more schools and other services being created. Of course, the current proposal does necessitate the development of land which is currently undeveloped and for some this is a significant negative aspect of the plan. With all development, it is important to find a balance between these positive and negative impacts and that is what EDC are seeking to do through this consultation exercise. We therefore encourage all of our members to give due consideration to the proposals and provide feedback via the following link to EDC to help inform their development. All feedback is important whether positive or negative and even if you have no opinion at all, it is important to have your voice heard. Deadline for feedback is 2nd November 2018.